DILG Region 3 awarded Performance Challenge Fund (PCF) worth three (3) Million pesos to the City of Balanga, Bataan. The LGU was given the incentive for being recipient of the highly coveted 2012 scaled-up Seal of Good Housekeeping Silver level. The reward was given on March 14, 2014 by PD Myra B. 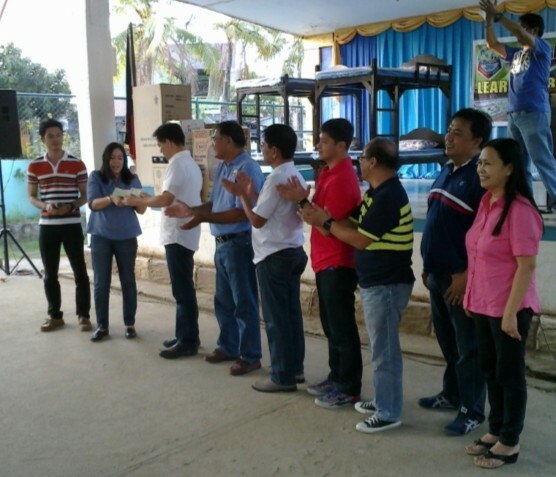 Moral in behalf of RD Florida M. Dijan to Mayor Enrique T. Garcia III during the Barangay Assembly at Barangay Sibacan. The Department established PCF as an incentive to qualified LGUs especially for those who have been conferred with SGH Silver for implementation of local development projects identified as priority by the LGU aligned with the national government strategic thrusts and goals. The City proposed for the project Construction of Concrete Revetment and Repair of Sluice Gate located at Cupang River, Barangay Central. It aims to serve as a flood control measure and to maintain the environmental sanitation of the neighboring residential area where the project is located.